Perennials blooming this month include chelone, anemone, monarda, liatris, Russian sage, coreopsis, coneflowers. All of these plants provide food for pollinators and brighten up your summer garden. Divide and transplant spring and summer-flowering perennials after they bloom. Spray water onto plants to evict pests like aphids, whiteflies and spider mites. Remove diseased foliage before leaves drop. Deadhead summer-flowering perennials and lightly shear to encourage more blooms. Move houseplants back indoors to acclimate them to limited sun exposure. 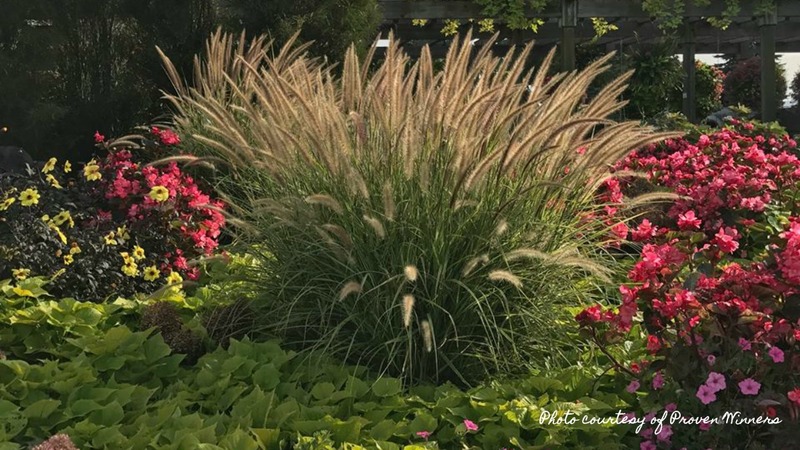 Plant ornamental grasses such as a variety of miscanthus and pennisetum. Fall mums and cold weather crops will be arriving at the garden center. Fertilize fruits and vegetables with Espoma Garden-tone, an ORGANIC slow-release fertilizer. Stake tomato plants if you haven’t done so yet. 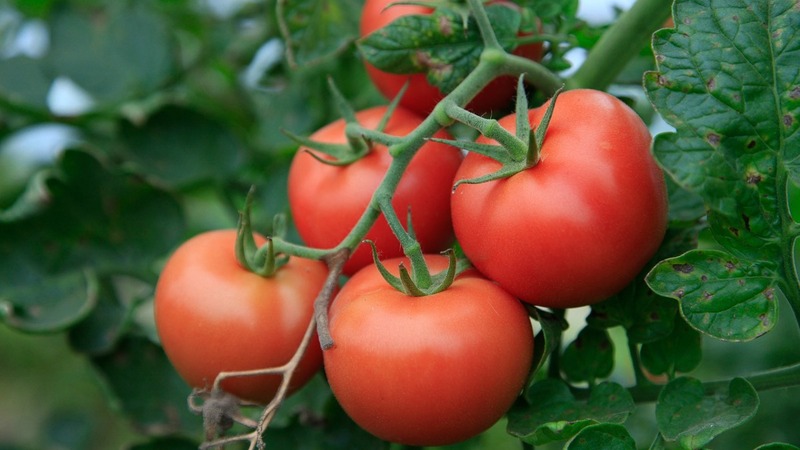 If necessary, spray tomato plants and other vegetables to control disease. Harvest produce regularly and hoe weekly to weaken weeds. Remove fallen fruit from fruit trees to limit insect infestation. Plant cooler weather vegetables that include broccoli, Brussels sprouts, cabbage, cauliflower and more for a full harvest. 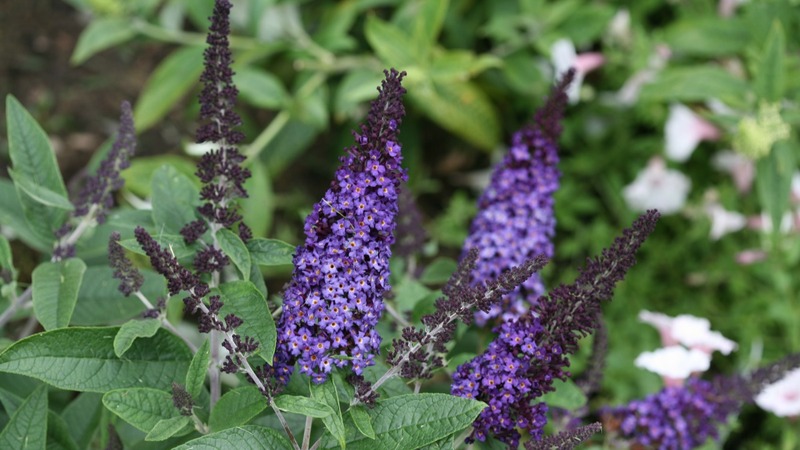 Trees and shrubs that provide color this month include crapemyrtle, hydrangea, viburnum, and butterfly bush. Avoid any heavy pruning this time of the year which could stimulate growth susceptible to winter damage. Water before 9:00am. Early morning is the best time of the say to water your gardens. This allows plants time to absorb the water and become fully hydrated before the heat arrives for the day. If you can’t water in the morning, aim for watering in the early evening to avoid letting the water sit all night. Letting the water sit all night can cause mildew and disease.